On Tuesday, June 7, the International Chapter of Horseshoers and Equine Trades, Local 947, ("the Union") filed a writ of mandamus in Dauphin County, Pennsylvania naming the Pennsylvania State Horse Racing Commission, a board administered by the Pennsylvania Department of Agriculture, as defendant. The document petitions the Pennsylvania judicial system to direct the Racing Commission to follow its own law regarding the requirements to obtain a license to shoe horses on the grounds of Penn National and other Thoroughbred racetracks in the state. 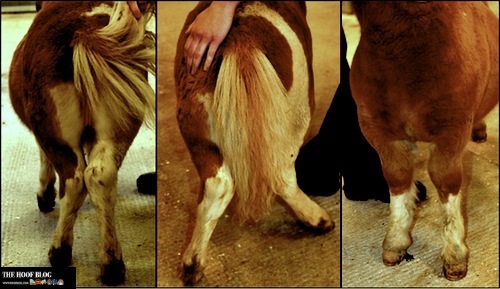 Skeletal Atavism is a genetic defect that can cause skeletal deformities in Shetland ponies. The deformity has now been genetically identified by researchers at Uppsala University and the Swedish University of Agricultural Sciences (SLU), in cooperation with colleagues in the USA at Texas A&M University, the University of Kentucky's Gluck Center, and the University of Washington, as well as at the University of Qatar in the Middle East. The discovery means that healthy carriers now can be identified for better breeding decisions with the use of a gene test.